We can offer 2 types of mobile phone holders, which can also be used to display Ipods, MP3 players, cameras and other small items. The holders come as 3mm clear acrylic as standard. 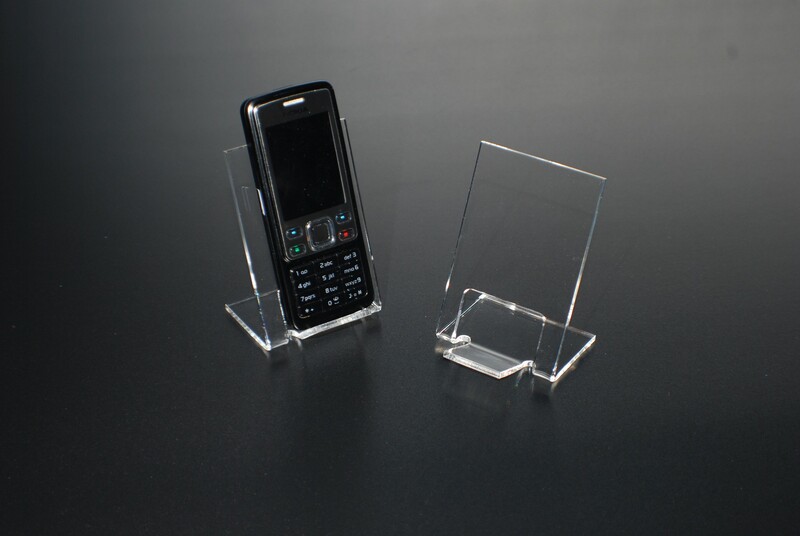 We also offer a heavy duty holder which is manufactured from 5mm clear acrylic. If you have any questions about mobile phone acrylic display, please call UK Shopfitttings Ltd FREE on 0800 2707615 and we'll be happy to help.